Container exports from North Europe to North America increased 5.7%, year-on-year, in the first five months of the year, but Drewry is “sceptical” that this growth can be maintained for the full year. Data from PIERS and Container Trade Statistics (CTS) shows US imports from Europe up 4.9% in the period to 890,000 teu, while Canadian imports flatlined at some 260,000 teu, with volumes to Mexico surging by 20% to about 180,000 teu. In the past year, UK exports to the US have been boosted by the “Brexit effect” of sterling falling to a 30-year-low against the dollar, noted Drewry, giving the example of a UK forwarder who claimed the firm’s exports were running at 8-10% higher than a year ago. However, following the anniversary of the UK referendum, year-on-year comparisons are likely to be less pronounced. One factor that could dampen growth on the westbound leg, said Drewry, was the cooling of the US new car sales market, after two years of “extraordinary growth” – a downturn that would impact the movement of automobile parts, mainly from Germany, it said. Nevertheless, Drewry said there was no sign of a slowdown in demand from Mexico for car parts to “support the new breed of car assembly plants in the country”. The transatlantic tradelane is one of the least volatile of global routes, with ocean carriers enjoying a generally balanced trade. Consequentially rates are not subject to the enormous swings often seen on the Asia to Europe and transpacific tradelanes. 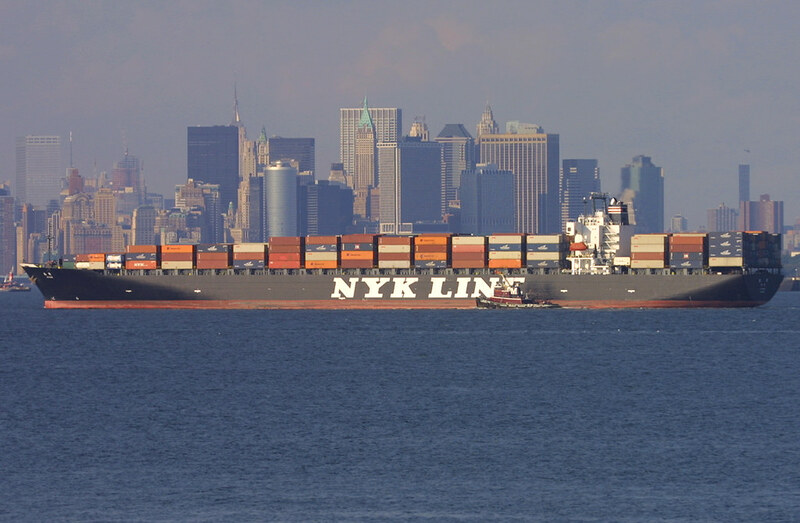 Drewry notes that westbound spot rates have “moved very little in recent months” and, at about $1,700 per 40ft from Rotterdam to New York, for example, rates are currently 8% less than a year ago. Interestingly, there have been anecdotal reports of some North European shippers to Asia, frustrated by the capacity crunch earlier in the year, shipping urgent containers on North Atlantic services and then rebooking them onto transpacific services. On the eastbound transatlantic leg, Drewry noted, the trade had been “pretty much static”, with growth of just 0.8% in the four months of data published to date, to 724,000 teu. US exports were actually down by 0.5%, year on year, in the four-month period, to 457,000 teu, with Canadian exports down by a similar percentage to 154,000 teu. But it was thanks to Mexican exporters that the total figure was up, with shipments jumping 9% to 113,000 teu, achieved mainly from improved shipments of car parts and beer. Hobbled by a strong US dollar, American exporters are struggling to compete in Europe, not least in the UK which accounts for over 40% of volume, and are said to be re-focusing on new markets in Asia.